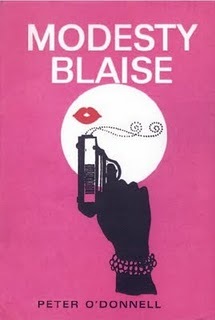 Sad news: Peter O'Donnell, creator of Modesty Blaise, died a couple of days ago, aged 90. 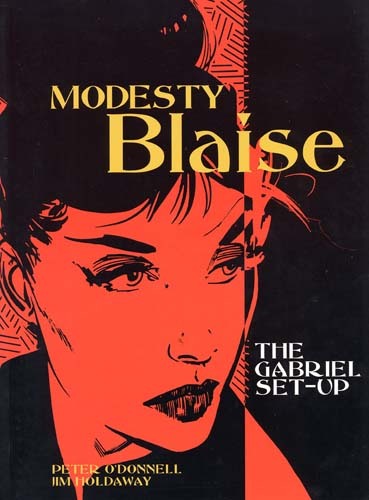 I didn't know Peter that well, but I did work with him when we relaunched the Modesty Blaise newspaper strip collections at Titan in the early 2000s. I got to spend a thoroughly enjoyable afternoon with Peter at his home in Brighton prior to publication of the first Titan Blaise volume, The Gabriel Set-Up, interviewing him about the series, the character, and the novels. He was a lovely man, and he continued to write new introductions for each Modesty story we brought back into print, re-reading the comic strips to jog his memory and try and work out what he was thinking at the time he wrote the tales. It's a shame he won't be around to see the final volumes of the Titan series. He will be missed.